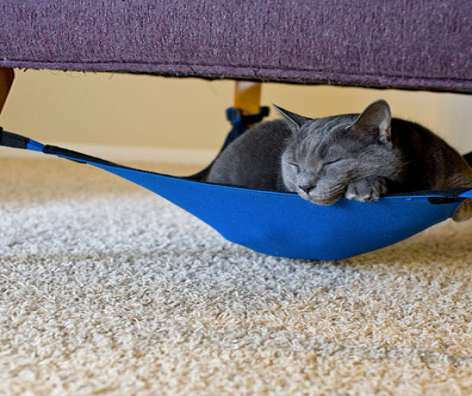 Spoil your cat the same way you spoil your feet: with a nice, relaxing hammock under your desk or chair. Kitties get cozy and tucked away from the commotion of a human-infested home with the Cat Crib. 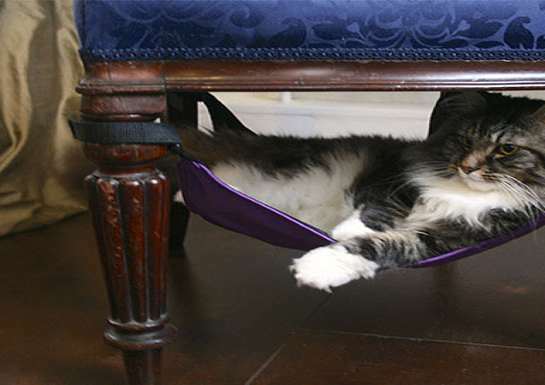 The feline hammock has a quad of strings that ties beneath nearly any chair or other 4-legged piece of furniture whose legs are between 18" and 27" apart. 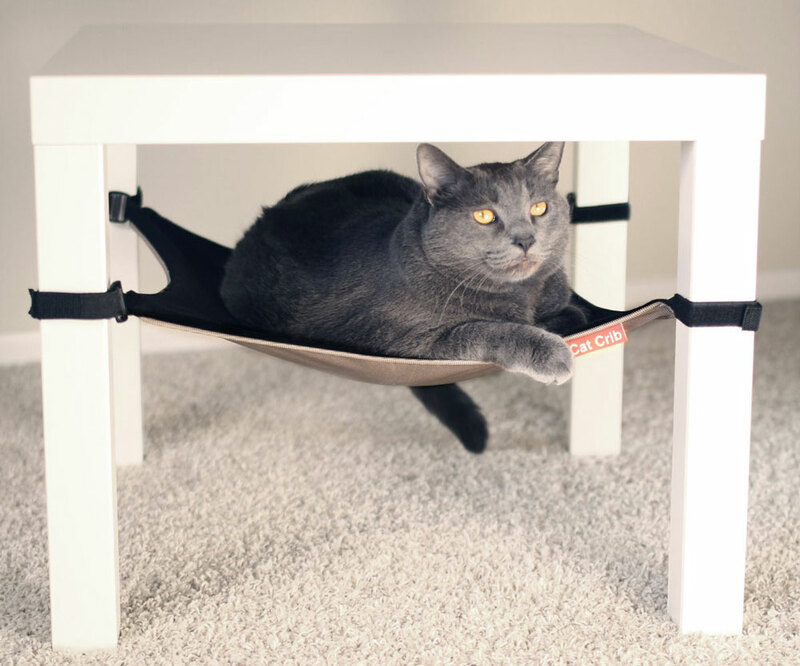 Your cat will thank you for the safe hideout, and you'll thank the Cat Crib for eliminating one more piece of pet / kid clutter from your living room. Cat Cribs make it easy to clean surrounding and underlying areas, and are machine washable when Toonces hacks up one too many hairballs inside them. Muchas danke to Greg for the Dude Product Tip.